VANCOUVER, Feb. 8, 2012, /CNW/ – Tanzania Minerals Corp. (the “Company”), (TSXV:TZM) (FRANKFURT: TM0.F) is pleased to provide an operational update with respect to exploration at its Mrangi and Mrangi South gold properties in the Lake Victoria Goldfields area of Tanzania. Fourteen diamond drill holes, approximately 200 metres depth each, for a total of 2,673 metres, and 58 reverse circulations for a total depth of 8,598 metres have been drilled to date. Drilling was conducted to determine the cause of arsenic and gold soil anomalies detected by traditional soil geochemistry exploration and multiple element anomalies (e.g., As, Cu, Zn) detected using a portable XRF unit over the same area. The drilling reported in this release focused on secondary priority targets on the licence related to a strike extension of the Phoenix mine vein swarm and metal anomalism. Results from initial drilling were reported in a press release dated October 14th, 2011. Preliminary gold exploration on four licences in the Kagera Region has also been initiated. This release summarizes the laboratory assay data for all eight reverse circulation drill holes (MRRC039-045 and MRRC047) and resulted in a total of 919 gold and base metal assays. Results from the remaining 12 holes are pending. All the holes were logged and mineralized intervals recorded. These intervals were sent for preparation at ALS Mwanza, Tanzania, prior to being shipped and analysed at OMAC Laboratories, in Ireland, and the results are tabulated in Table 1. Location of the drillholes mentioned in this press release illustrated on a simplified geology map. Bold drillholes correspond to the drilling intercepts noted in Table 1, and dark grey drillhole results (MRRC46, 49-58) are pending. The gold concentration of the majority (284 samples) of the 919 assays performed were typically at or below the analytical detection limit of 0.002 ppm, and 604 samples containing less than 0.10 ppm gold. The remaining 31 samples ranged from 0.10 ppm to 1.01 ppm (g/t) gold over intervals of one metre. The elevated gold concentrations correspond to drill intercepts where variable proportions of disseminated pyrite are present, often with thin quartz-carbonate veins and veinlets, proximal to a late west-northwest trending dike (MRRC39-43), or associated with a major ENE-trending interpreted fault (MRRC44 and 45). The highest gold concentrations were noted from these latter two drill holes, with grades of 1.01 g/t over 1 m (MRRC44) and 0.33 g/t over 2 m (MRRC45). Soil XRF geochemistry and traditional gold soil geochemistry previously recorded the presence of coincident gold anomalism with copper, arsenic, and weaker lead and zinc anomalies associated with rhyolite with interbedded tuff in the southern part of the licence and in two areas in the western part of the licence. Drilling of holes MRRC44, 45 and 47 on one of the southern anomalies noted the gold grades mentioned previously, but also intersected enriched zones of elevated copper mineralization, present as chalcopyrite stringers within the rhyolite. In MRRC44 two zones of copper mineralization were encountered: an upper zone 6 m in thickness and a grade of 0.13% Cu, and a lower zone of 43 m at 0.14% Cu. Drillhole MRRC45 (100 m to the ENE of MRRC44) also includes upper and lower copper-rich zones with grades of 6 m at 0.19% Cu and 24 m at 0.10% Cu, respectively. Drillhole MRRC47 collared 280 m to the south of MRRC45 contained three discrete copper mineralized intervals of variable widths and grades, including 22 m at 0.08% Cu, 4 m at 0.11% Cu, and 19 m @ 0.16% Cu. The copper-rich zones do not contain elevated gold concentrations, and only display weak As, Pb and Zn enrichment. The outstanding samples from the drilling program are currently at the assay lab. Results will be reported when received. Soil sampling continues on the Company’s Mrangi South licence (located approximately 20 km to the south of the main Mrangi licence), and is now complete on the 514 hectare Mrangi East licence. High rainfall hindered access to the field area and also the use of portable XRF equipment in November and December. The samples are at the SGS Mwanza laboratory and results are expected shortly. Field work planned for the next three months include compiling additional historic data, geological mapping and ground-truthing prospective gold targets identified during satellite remote sensing and recently flown high-definition airborne geophysics. 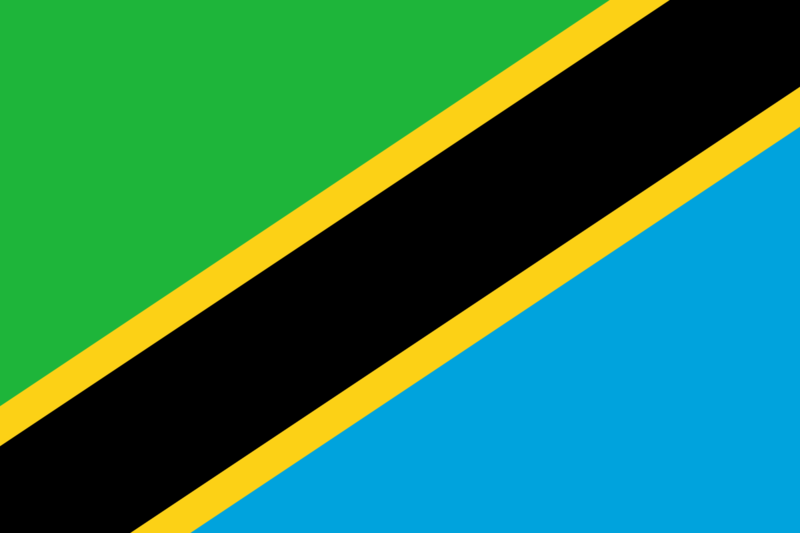 Detailed exploration work is also shortly scheduled to start on the company’s four licences (totaling 751.74 km2) in Kagera Region, northwest Tanzania. These licences are underlain by sedimentary rocks of the Proterozoic Karagwe-Ankolean System that have been intruded by mafic to felsic intrusions. Large crustal-scale faults are interpreted to cut through the licences and the Company believes the licences have the potential to host gold mineralization in an area not previously investigated in detail for this commodity. A large gossan (50 m wide and 200 m long) has been identified by the Company’s Country Manager, Mr. Abiel Kyamanywa, and initial portable XRF measurements show the gossan to be enriched in lead (up to 1,156 ppm from 6 measurements at one locality). A suite of prospecting samples has been taken from the gossan for gold assay and the results are pending. The proposed exploration program has started with a detailed desktop study, which is incorporating historic geochemical and geophysical data to produce focused targets. These targets will be investigated by geological mapping and prospecting, in conjunction with portable XRF soil and outcrop geochemical analysis. Vancouver, BC, Canada – February 08, 2012- Tanzania Minerals Corp. (the “Company”), (TSX-V:TZM) (FRANKFURT: TM0.F) today announces that it has granted incentive stock options to directors, officers, and consultants of the Company to purchase up to 450,000 common shares of the Company at a price of $0.27 per share, exercisable for a period of five years. The options are being granted pursuant to the terms of the Company’s stock option plan and are subject to regulatory approval. The Company also announces the resignation of Ms. Jude Fawcett and subsequent appointment of Ms. Christal Pendleton as Corporate Secretary, effective January 16, 2012. The Company wishes to express its appreciation for Ms. Fawcett’s past service to the Company. EurGeol Dr. Sandy M. Archibald, PGeo, Consultant Geologist, Aurum Exploration Services, is the Qualified Person who supervised the preparation of the technical data in this news release. Additional information on Tanzania Minerals Corp., including technical reports and other public documents, are available on SEDAR at http://www.sedar.com or on the Company’s website at http://www.tanzaniaco.com. Tanzania Minerals Corp. is an emerging junior exploration company trading on the TSX Venture Exchange. The company has an extensive portfolio of projects in Tanzania. On behalf of the Board of Directors of Tanzania Minerals Corp. Statements included in this announcement, including statements concerning our plans, intentions, and expectations, which are not historical in nature are intended to be, and are hereby identified as, “forward-looking statements”. Forward-looking statements may be identified by words including “anticipates”, “believes”, “intends”, “estimates”, “expects” and similar expressions. The Company cautions readers that forward-looking statements, including without limitation those relating to the Company’s future operations and business prospects are subject to certain risks and uncertainties that could cause actual results to differ materially from those indicated in the forward-looking statements. i recommend him/her to go tto see this webpage, Keep up the fastidious job.